When four-year-old Karan first joined COA’s Home Instruction for Parents of Preschool Youngsters (HIPPY) program, he had trouble speaking. According to his concerned mother, Sarah, he was too shy to talk to other people. Whenever he did he could only say small words. When Sarah learned about COA’s HIPPY program in fall 2017, she breathed a sigh of relief. HIPPY was her last resort; Karan had already seen a speech therapist, with little improvements. Despite feeling nervous at first, Sarah joined the HIPPY program and started working with a Parent Partner in her home once a week. Through one-on-one, peer-to-peer instruction, Sarah’s HIPPY Parent Partner taught her the best ways to interact with her son to promote speech development. Sarah admitted that she did not really talk with her son because she didn’t know which conversation levels were appropriate for his age. Sarah’s HIPPY Parent Partner let Sarah know that it was okay to ask questions that required more than “yes” or “no” answers. Through the first four HIPPY program sessions, Sarah got to spend more quality time with her son and totally transformed the way she interacted with him. They learned how to communicate better, which ultimately helped improve Kiran’s language skills. After his fourth session, Karan was forming bigger words and started to be more open. 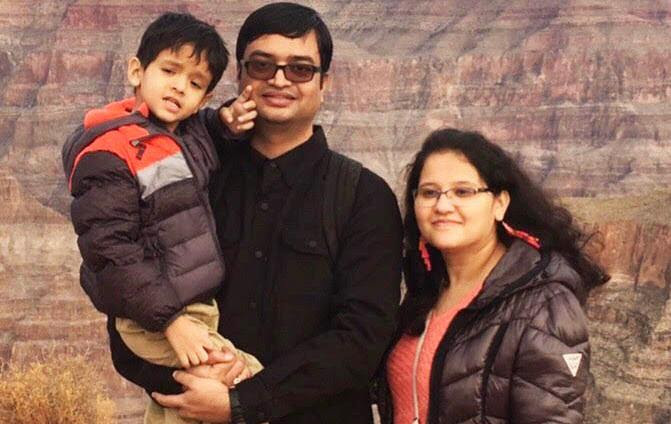 Now, Karan’s mother is proud to say that her son can pronounce words correctly and can even form and speak full sentences. No longer withdrawn and held back by a speech delay, Karan is now a confident and vocal young boy ready to take on the world.